Bags and carbon dust filter kit for Cyclo Vac central vacuum. 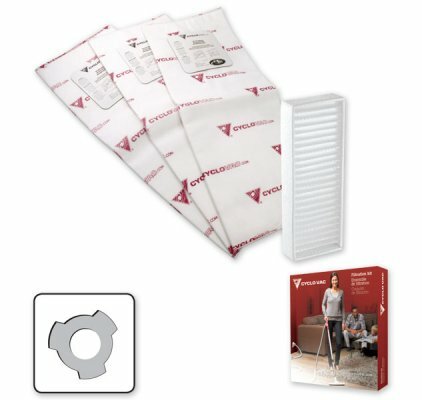 This kit includes 3 heavy duty electrostatic filter bags and 1 carbon dust filter. These 3 notches bags are sewn to make them stronger. Our patented carbon dust filter captures the fine black dust produced by the motor. For the H715, HX715, H2015, HX2015 and HX7515 models.